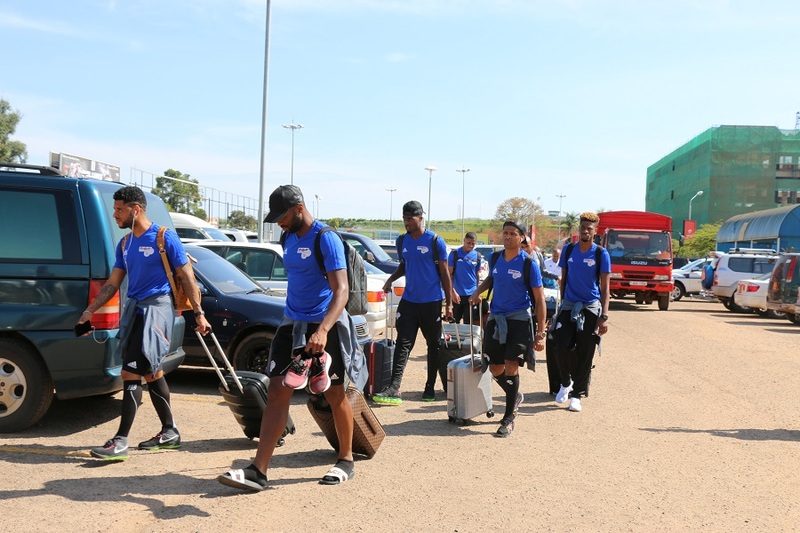 NAMBOOLE – The Cape Verde Football National Team will conduct their last training on Friday afternoon at the Mandela National Stadium as they gear up for their second last game in Group L of the 2019 AFCON Qualifiers. The Blue Sharks arrived in the country on Thursday afternoon aboard Emirates Airline. They came with a delegation of 35 personnel including 24 players and 11 officials and were received by the FUFA Protocol team that had Richard Nandigobe and delegate Sande Moni. They were driven to Sheraton Kampala Hotel in Kampala where they are to be accommodated for the duration of their stay in the country. Part of the 24 players who traveled is Turkish giants-Galatasaray FC winger Garry Mendes Rodrigues who is expected to trouble Uganda’s defence. The Dutch-born Cape Verde international is among the nine forwards that also include; Ricardo Gomes who features for Partizan Belgrade, Julio Tavares (Dijon, France) and Nuno da Costa (Strasbourg, France). Of the 24 players, there are only two locally based players that is Emerson of Académica da Praia and Papalele of Mindelense. “We are happy to be in Uganda, said Cape Verde head coach Rui Aguas on Thursday. “We shall play our best against Uganda which I am aware are a good side. 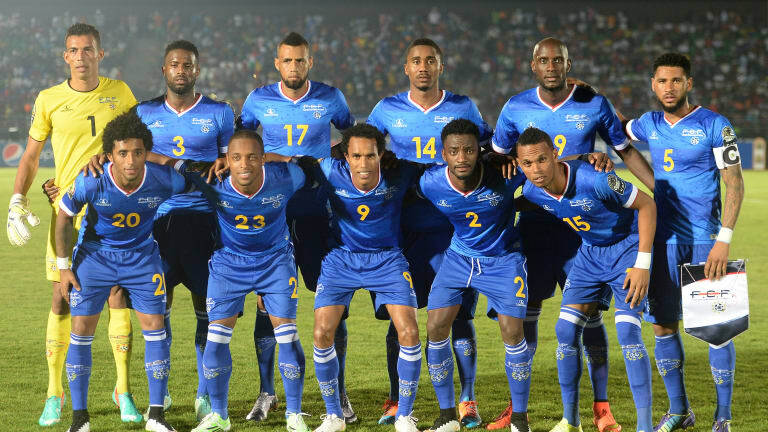 Cape Verde are currently fighting for their lives in Group L as they sit third on the log going into the final two match-days. The Blue Sharks sit six and one point behind Uganda and Tanzania respectively and a loss for them on Saturday coupled with a Tanzania win will end their hopes of featuring in the 2019AFCON finals. Vozinha (AEL Limassol, Cyprus), Thierry Graça (Estoril, Portugal) and Elber Evora (Feyenoord, Netherlands). Carlos Ponck (CD Aves, Portugal), Nivaldo Santos (Concordia, Romania), Stopira (MOL Vidi, Hungary), Tiago Almeida (Academico Viseu, Portugal), Gege (Al Feiha, Saudi Arabia), Fernando Varela (PAOK, Greece) and Jeffrey Fortes (Excelsior, Netherlands). Bruno Leite (FK Haugesund, Norway), Danilson da Cruz (Nancy Lorraine, France) Emerson (Académica da Praia, Cape Verde), Nuno Rocha (Universitatea Craiova, Romania), Babanco (Feirense, Portugal), Helder Tavares (Tondela, Portugal). Platini (Poli Iasi, Romania), Ryan Mendes (Al Sharjah, United Arab Emirates), Garry Rodrigues (Galatasaray, Turkey), Julio Tavares (Dijon, France), Papalele (Mindelense, Cape Verde), Djaniny (Al Ahli SC, Saudi Arabia), Heldon (Al Taawon, Saudi Arabia), Ricardo Gomes (Partizan Belgrade, Serbia), Nuno da Costa (Strasbourg, France).